'Taken around on iPhone 4 in Devonport from my lounge window around 20:00 on 27 December 2012. 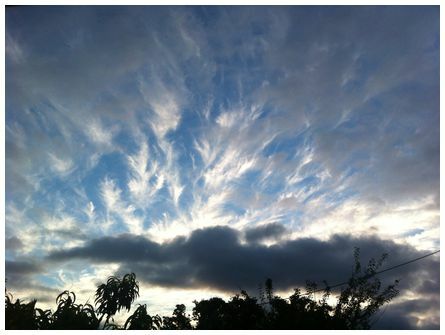 Wispy 'candy floss' style clouds looking spectacular not long before sunset' wrote Matthew. 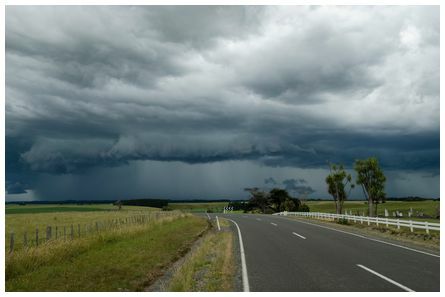 'This photo of a thunderstorm was taken just outside Sanson looking north towards Wanganui. 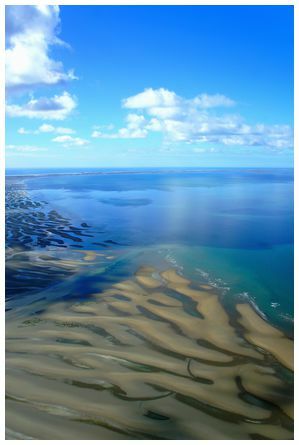 It was taken mid afternoon on Boxing Day 2012 with a Nikon D7000' wrote Phillip. 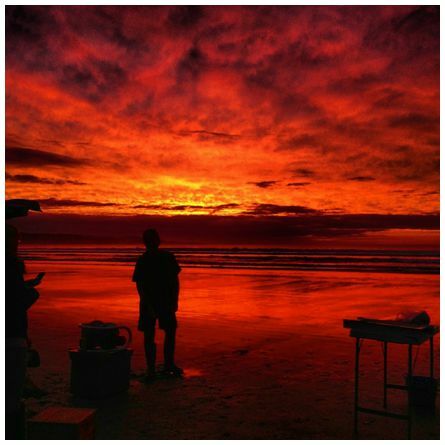 To mark the end of another successful year for metvuw.com we have chosen Tayla Trail's beautiful sunset at Ninety Mile Beach taken on 15 December 2012 as the final Photo of the Day for 2012. 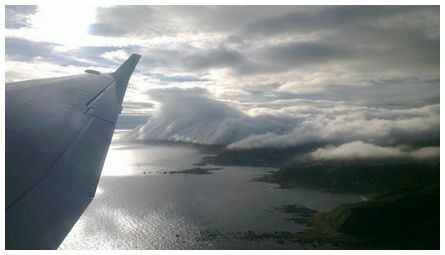 Many many thanks to everyone who has submitted photos this year as we look forward to an even more spectacular year of photos in 2013. (JMcG). 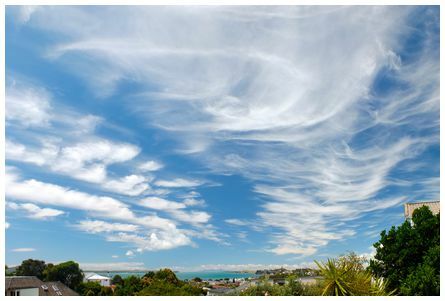 'A fine day with cirrus clouds being swept into various formations by strong upper level wind. 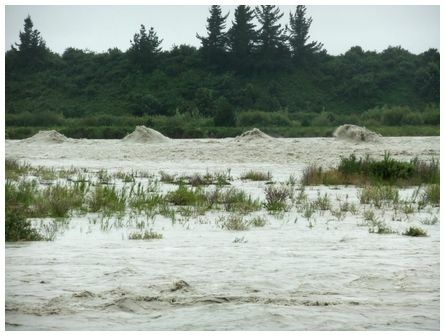 Photo taken on 12 December 2012 looking east down Motuhie Channel to the Moehau Ranges, Coromandel Peninsula. Camera Fuji Finepix HS30 EXR ISO200 Exposure 1/800sec, at f/4' wrote Trevor.